An amazing gift from some amazing friends. Thank you to Josh and Brooke Heskew. Thanks for honoring our son and our family. We love you guys! 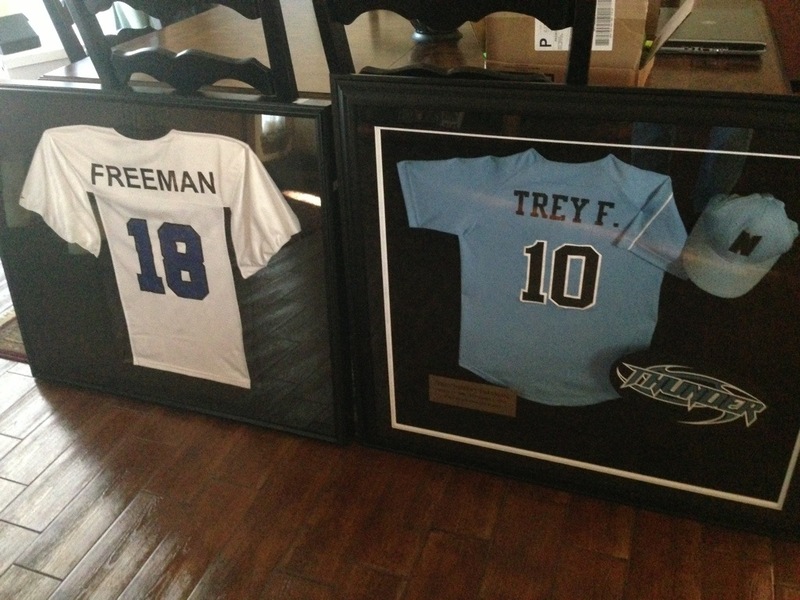 The 18 on the football jersey is for January 8 in honor of Trey’s spiritual birthday. It was worn by a different football player each week. The baseball jersey was Trey’s actual jersey, along with his dirty hat. Oh to see him in that again! I love you Trey and miss you terribly every day.